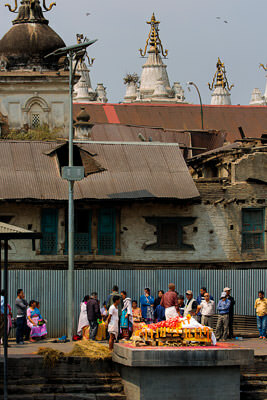 Family waits riverside for the initiation of the cremation alongside the Bagmati River within the Pashupati temple complex..
Add tags for "Family waits riverside for the initiation of the cremation alongside the Bagmati River within the Pashupati temple complex..". Be the first. <http://www.worldcat.org/oclc/908143826> # Family waits riverside for the initiation of the cremation alongside the Bagmati River within the Pashupati temple complex..
schema:about <http://www.worldcat.org/oclc/908143826> ; # Family waits riverside for the initiation of the cremation alongside the Bagmati River within the Pashupati temple complex..